Cluj-Napoca is a municipality located northwest of Romania and is the second largest city with about 300,000 inhabitants. 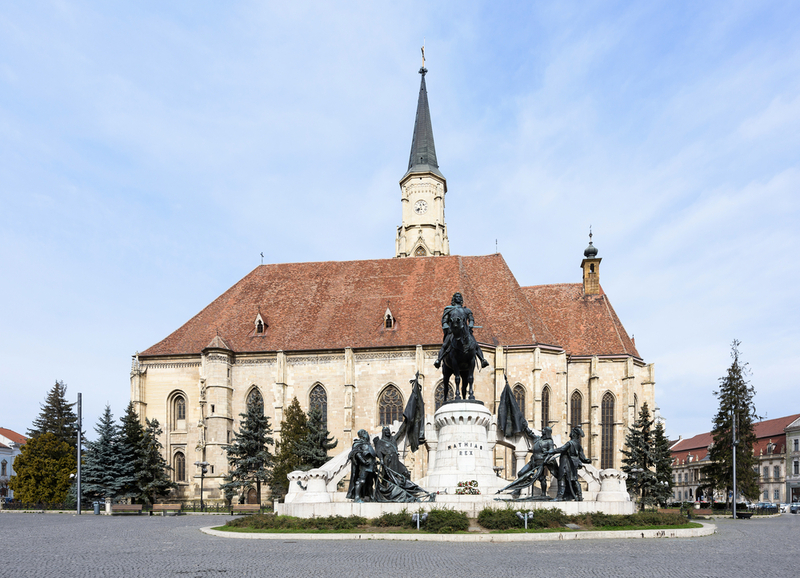 If Cluj-Napoca is in your upcoming travel plans, we’ll tell you the places you have to visit. Located in the Unirii Square, and one of the most important buildings in the city. It is the second largest church in Transylvania and is considered one of the most beautiful Gothic churches in the region. Outside, you can see the high tower (80 metres), reckoned to be the tallest tower in Transylvania. It’s the newest part of the church as it had to be rebuilt in the nineteenth century following a fire. Currently, it is a Catholic church, although throughout history it has been a temple of varying religious beliefs. You can visit the inside of the church Monday to Sunday from 10:00am to 7:00pm. One of the largest squares in Romania, Unirii Square is located in the centre of the old town with surrounding buildings typical of the eighteenth and nineteenth centuries. It’s a busy place with many shops and restaurants to enjoy shopping or have lunch or dinner quietly. 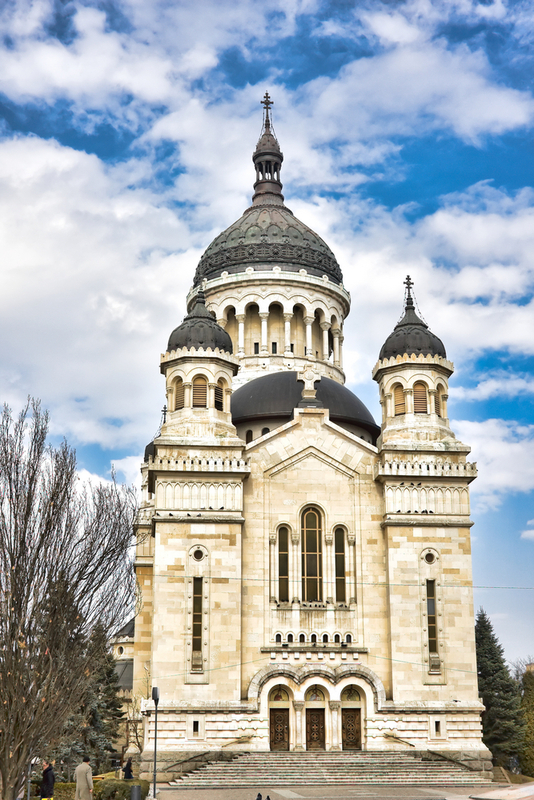 This beautiful Romanian Orthodox cathedral was built in the early twentieth century and is the most important religious building in the city. 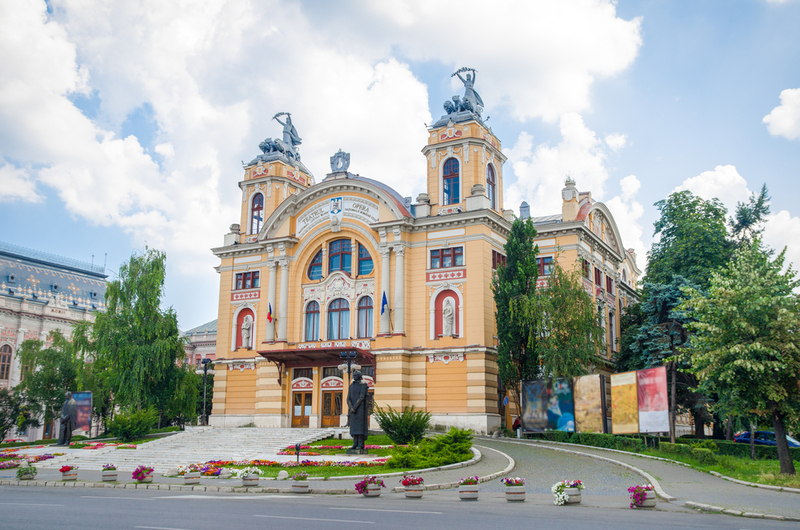 At the very front you’ll see the Lucian Blaga National Theatre. The cathedral stands 64 metres high and is constructed with reinforced concrete, bricks and stones from the nearby towns of Baciu and Bampotoc. The Botanical Garden Cluj-Napoca, or in Romanian, Grădina Botanica din Cluj-Napoca, covers around 14 hectares and administratively depends on the Babes-Bolvai University. It was founded by university professor Alexandru Borza in 1920. A pleasant place to stroll and enjoy the atmosphere; walking amongst the many different species of plants, trees and flowers or just to sit and relax. You can disconnect surrounded by nature. If you want to spend your holidays in Romania you can not miss Cluj-Napoca, a big city where there are a lot of possibilites to choose.